You are here: Home / Associates / Singapore / Parandaman T.
Parandaman is trained in forensic psychology and works as an interventionist forensic psychologist consulting and treating children (including children with intellectual disabilities) with psychological and mental health issues, such as depression, Generalized Anxiety Disorder, ADHD, Conduct Disorder and Social Communication Disorders. Within the forensic setting he is experienced in risk and needs assessments and psycho-diagnostic assessments. He evaluates children who exhibit maladaptive behaviours, such as pervasive anger, sexualized behaviours and stealing. He formulates and executes treatment plans and works in collaboration with psychiatrists where psycho-pharmacological treatment is indicated. Parandaman has worked at The Centre for Addiction Recovery in Singapore (2010 – 2011) and has provided counselling and rehabilitation support for clients with addictions, including drug, alcohol, gambling, eating disorders and kleptomania. He also has experience in providing intensive individual psychotherapy using EMDR, Affect Regulation Therapy and CBT for patients with chronic alcohol and substance dependence issues. He worked at Evergreen Place (2008-2010), a geriatric treatment centre in Singapore, as an associate psychologist primarily consulting to and treating patients who are frail and suffer from cognitive impairment such as dementia, Alzheimer’s and Parkinson’s. He is also trained in forensic interviewing of physically and sexually abused children, vulnerable adults and intellectually challenged children and adults. (Child Sexual Abuse Forensic Interviewing Certificate, Corner House, Minneapolis, 2012.) and provides this service on an ongoing basis to agencies. Parandaman trained at University of Coventry, UK in risk and needs assessment tools, such as HCR – 20, SARA, J-SOAP II, “ERASOR”, “ARMIDILO” and PCLR VY and in cognitive and developmental psycho-diagnostic assessments of children and youths. He has experience in diagnosis of psychopathic characteristics in the mainstream as well as mid to low intellectual range pediatric population. Parandaman is currently acting consultant to REDA, an organization dealing with at risk children and families, where he supervises a youth rehabilitation program targeting social problem behaviours within the Malay and Muslim community. 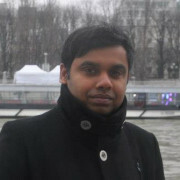 He is also an off shore Clinical Supervisor for students enrolled in the Masters in Counselling at Monash University. Since 2010 he has used A.R.T. as an effective intervention to treat trauma and acute stress in adults and children, chronic social behaviour problems, addictions and cognitive decline in the geriatric population. http://www.stressace.com/wp-content/uploads/2013/10/Parandaman_online.jpg 335 335 Auth http://www.stressace.com/wp-content/uploads/2013/09/Stressace_logo-300x129.jpg Auth2013-10-15 04:37:332013-10-16 08:37:49Parandaman T.